Baroja, Pio (2002). Los pilotos de altura. Madrid: Anaya. ISBN 84-667-1681-5. http://catdir.loc.gov/catdir/enhancements/fy0836/2003429983-d.html. Rediker, Marcus (2007). The Slave Ship: A Human History. New York: Viking. ISBN 978-0-670-01823-9. オリジナルの2012年3月31日時点によるアーカイブ。. 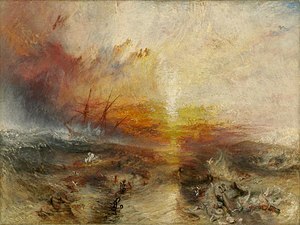 https://web.archive.org/web/20120331141713/http://www.marcusrediker.com/Books/Slave_Ship/Synopsis_of_Slave_Ship.htm. ^ Shillington, Kevin (2007). “Abolition and the Africa Trade”. History Today 57 (3): 20–27. ^ Exploring Amistad at Mystic Seaport Archived 2010年3月11日, at the Wayback Machine. ^ Gilliland, C. Herbert (2003). “Deliverance from this Floating Hell”. Naval History 17 (48–51): 20–27. ^ Harper's Weekly, June 2, 1860, p344. Online at The Slave Heritage Resource Center accessed 3 July 2006.